A potential major environmental hazard of the iron mine Gogebic Taconite (GTac) claims it intends to open in the Penokee Hills is acidic runoff caused by the oxidation of sulfide minerals in rocks disturbed by mining operations. Sulfide minerals in the form of pyrite (ferrous sulfide) are known to occur in two places in the rocks through which the mine would penetrate: in the Tyler Slate, which lies above (north of) the Ironwood formation that is the target of the mine, and in the Yale member of the Ironwood formation itself, which lies between the two layers of low grade iron ore that would produce taconite. In the only core from the Penokees that is publicly accessible, the lower portion of the Yale member is extremely rich in pyrite. This core comes from about 10 miles east of the proposed mine. If this pyrite-rich layer extends into the mine site, mining operations would disturb an enormous amount of pyrite. The environmental dangers of this pyrite are increased by the fact that the Yale member could not be avoided during mining. 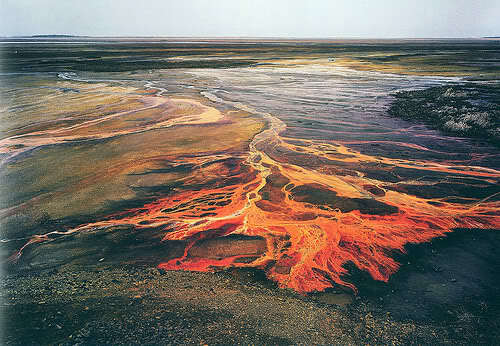 It would be processed along with the low grade ore and discarded in the tailings. This means that pyrite in the Yale member would be finely ground, mixed with water, and stacked in heaps above ground — perfect conditions for oxidation and the generation of acidic runoff. How much pyrite is in the Yale member in the mine site is unknown to the public. GTac knows, because it has access to more than 250 cores taken by US Steel in the Penokees in the 1950s and 1970s. But GTac refuses to make the cores public, or reveal how much pyrite they contain. When asked about the cores (see video below), GTac President Bill Williams and lobbyist Bob Seitz refused to comment. GTac currently is taking core samples from the top of the Penokee ridge where the Ironwood formation is exposed on the surface. These cores miss the Tyler Slate altogether, but presumably penetrate all the way through the Ironwood formation, including the Yale member. On a recent visit to one of GTac’s drill sites, an 11.6 gram fragment of core was recovered from next to the bore hole. Presumably it fell off the core as it was being extracted. This fragment appears to be from the Yale member, and it contains pyrite. 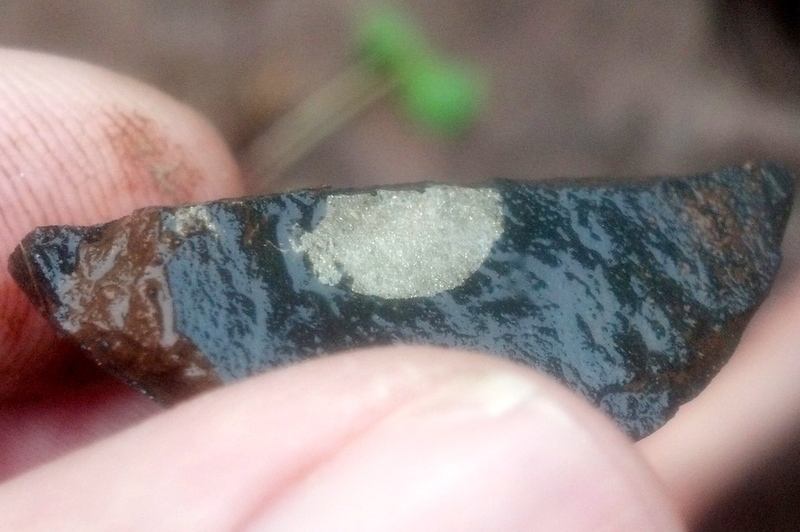 11.6 gram core fragment recovered from a GTac drill site on the Penokee ridge. The silvery material is pyrite. Whatever its exact source, this fragment is clear evidence that pyrite is present in the Ironwood formation itself, and not just in the overlying Tyler Slate. Bill Williams claims that he did not see any pyrite in the US Steel cores. If true, perhaps he didn’t look closely. Or perhaps those cores are so damaged by pyrite oxidation during their long storage that nothing can be seen anymore. The presence of pyrite in the Ironwood is a cause for concern not just for the mine itself, but for GTac’s plans for bulk sampling at five sites in the Penokees in the near future. Until now, GTac has either denied the presence of sulfides in the rocks or downplayed the hazards they pose. However, in its July 2, 2013 response to GTac’s bulk sampling permit application, the Department of Natural Resources explicitly directs GTac to explain precautions it will take in handling rocks containing sulfides. It appears that the days of GTac being able to evade the sulfide issue are coming to an end. UPDATE: NOTE: The core fragment discussed in this article has not yet been submitted to any chemical analyses. I identified pyrite, which is quite distinctive in its appearance, visually.